The 2019 MLB season starts tomorrow and I realized I have written anything in a century. That’s actually not true. I have a half-finished post from March 10 about Anthony Alford being the centre fielder of my dreams. 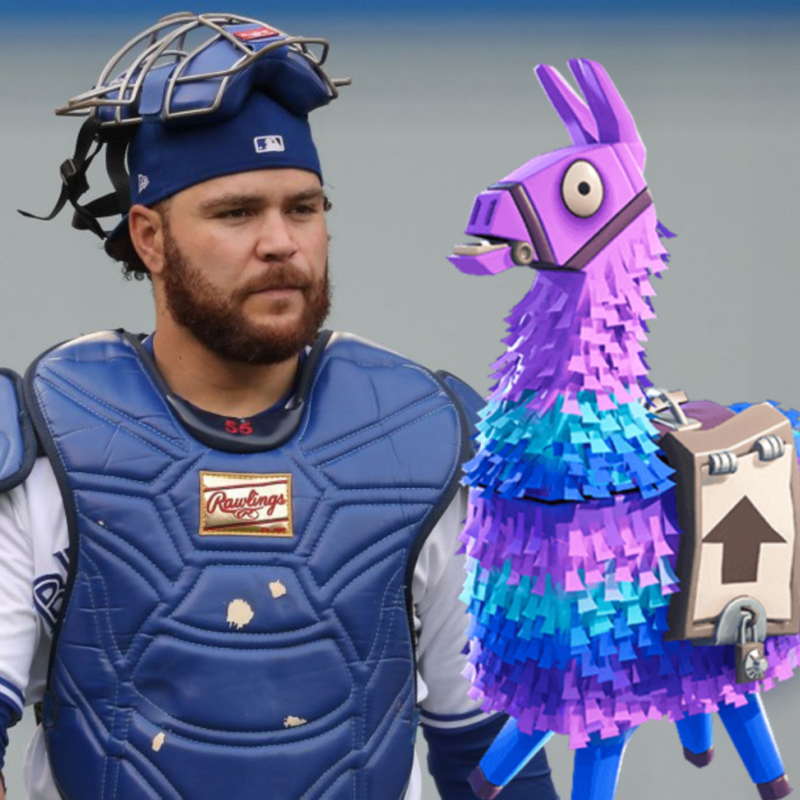 And I have another half-written post about Fortnite being banished from the clubhouse this season and what it did and didn’t say about a certain catcher. This was the header image. A bunch of players signed massive contract extensions, somewhat masking the crisis in baseball’s free agency. But know this: if Mike Trout, the best player in baseball and probably of his era, is afraid to hit free agency, how broken is free agency? Also, I pointed and laughed at this for a while. I spent some time in Dunedin this spring. A bit as a regular person- I went to Steinbrenner and was confused by the Troy Tulowitzki looking guy wearing number 12 and thought JA Happ looked skinny in pinstripes. It was cloudy and freezing cold (maybe 10 degrees Celsius.) I shivered until about the 7th inning. After Aaron Judge hit a mammoth bomb over the Hooters sign in right-centre, I figured that was about as interesting as that game was going to get and off I went. I’m talking to the couple sitting behind me. The lady was one of the most charming people I’ve ever encountered. She was THRILLED to be there and the two of them were quite funny. For instance, Teoscar Hernández came to the plate, the husband said, “I wonder how to pronounce that.” I leaned back and told them. Also, I’ve decided I want to see Bo Bichette on the MLB roster in 2019. Also, dig if you will Mark DeRosa’s Jersey accent in all it’s glory. I also worked. I didn’t get who I needed to interview and I was quite frustrated. The irony, of course, is that this kid was way more accessible to me than the people I needed. Oh, and he’s not that fat. His gluteus is extra maximus and that throws people off, I think. In a move that is both surprising and also kind of cruel to the people who made the opening day video montage, the Blue Jays have traded Kendrys Morales to the A’s. For slot money and a minor league infielder, because I guess they feel the stockpile they have accumulated is too small. I’ve come to respect KMo. He was never going to replace Edwin Encarnación for me, but Morales was a solid player and an all-around decent teammate and human. He hit the ball hard, too. The Morales trade will be disappointing to many of his now former teammates. Gurriel Jr. and Guerrero Jr. were particularly close to him. Gurriel called him his mentor, Vlad said he was a father figure to him. Montoyo said Morales was like a "second manager" in a young clubhouse. After a couple tough starts against the Red Sox, it was Kendrys Morales who discovered Ryan was tipping his change-up in his windup. Adjustment made, next start: 6.1 IP, 3 hits, 2 runs. Are we all better now? I want this to be better now. Let me see your shoulders work.